The ultimate cinnamon rolls! Gooey, soft, tender and pretty much perfect. If I had to choose one food to eat for the rest of my life, it would be a big, fat, fresh out of the oven, warm cinnamon roll. There is just nothing in the world like it! I have another recipe on my site for cinnamon rolls, but I basically took that recipe and re-vamped it to make the absolute ultimate pan of giant delicious cinnamon rolls ever. Don’t let the task of cinnamon roll making freak you out because it really is so easy. You just need a lot of patience! The end result is so, so, soooo worth it. Just trust me on this. 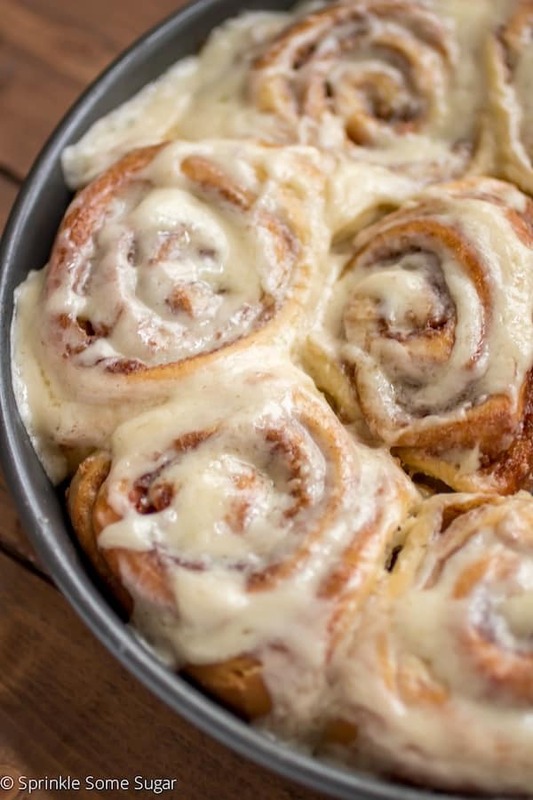 What you get is the softest and gooiest cinnamon rolls ever doused in a creamy sweet cream cheese frosting. 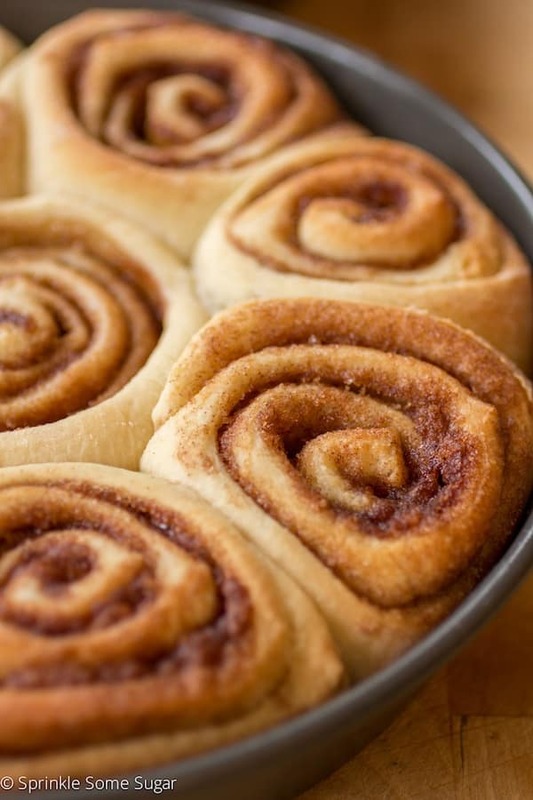 These soft and fluffy cinnamon rolls come out so tender and doughy, they’re just perfect. Think: Cinnabon. My taste testers went nuts over these and may or may not have said that these put Cinnabon to shame! True story. Cream cheese frosting is my favorite kind of frosting so you know I made sure there’s more than enough to go around in this recipe! Roll it up tightly and cut 12 very large OR 16 decent-sized cinnamon rolls (pictured) with a serrated knife. 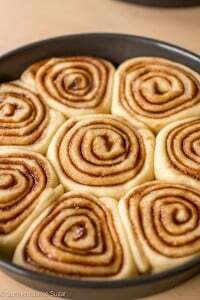 If you would like to use two round pans, you can cut 16 cinnamon rolls and place 8 into each pan. 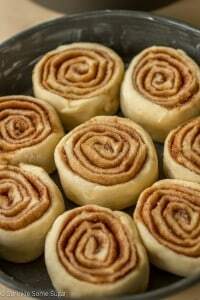 If you would like to have those big, fat and round cinnabon-like cinnamon rolls, then you will need to cut 12 cinnamon rolls and space them out onto a 9×13 pan. Even though I have two round pans of 16 cinnamon rolls pictured here, cutting 12 rolls and placing them into a big 9×13 pan is definitely my preferred method. The round pans don’t give them much room to expand on the second rise + during baking so they squish together slightly. After they’re all nestled in your pan of choice, set the pan(s) into a warm place again to rise until they have grown slightly and are puffy. Now it’s time to bake! Bake them up until lightly golden brown. Go ahead and slather on some cream cheese frosting and dig into the most gloriously gooey and delicious cinnamon roll ever. In the bowl of your stand mixer fitted with the dough hook, Add yeast, warm milk and 1 tbs of measured out sugar. Stir together lightly and allow to sit for 10 minutes or until foamy on top. Stir in remaining sugar, melted butter and beaten eggs until combined. Add 3 cups of flour first and then add one tablespoon at a time until you have a workable dough. The dough WILL still be sticky so do not over-flour your dough! It should be sticky but not sticky enough where it sticks to your hands.Also note that your dough may not completely stop sticking from the bottom of the bowl so don't base your flour additions on that. Place dough into a lightly greased bowl and set into a warm place to rise until doubled, about one hour. I like to turn my oven onto 170 degrees and then turn it off, it creates the perfect warm environment. In the last minutes of the dough rising, gather your ingredients for the filling. In a small bowl, stir the brown sugar, cinnamon and corn starch until thoroughly incorporated. Take the risen dough and don't punch it down just yet. Flip the bowl over and dump it out onto a lightly floured surface. Pat it down lightly to release the air inside and roll it with a rolling pin into a very large rectangle. 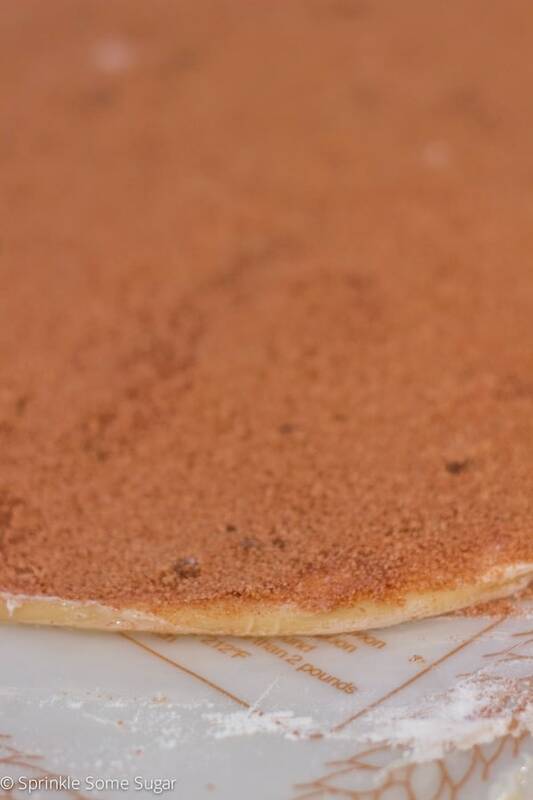 Smear the butter on into an even layer and sprinkle the filling on top. Pat it down lightly to pack it down. Roll the dough up very tightly into a long log. Cut the log into 12 or 16 cinnamon rolls. 12 for a large 9x13 pan or 16 for two round 8" baking pans (8 rolls in each). 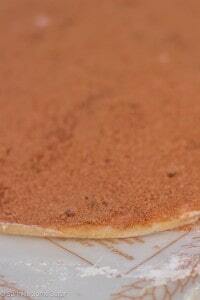 Grease your pan of choice extremely well and place cut cinnamon rolls into prepared pan. Allow them to rise in a warm place one more time until puffy, about thirty minutes. Once rolls have done their second rise. preheat the oven to 350 degrees and arrange the rack into the center of the oven. 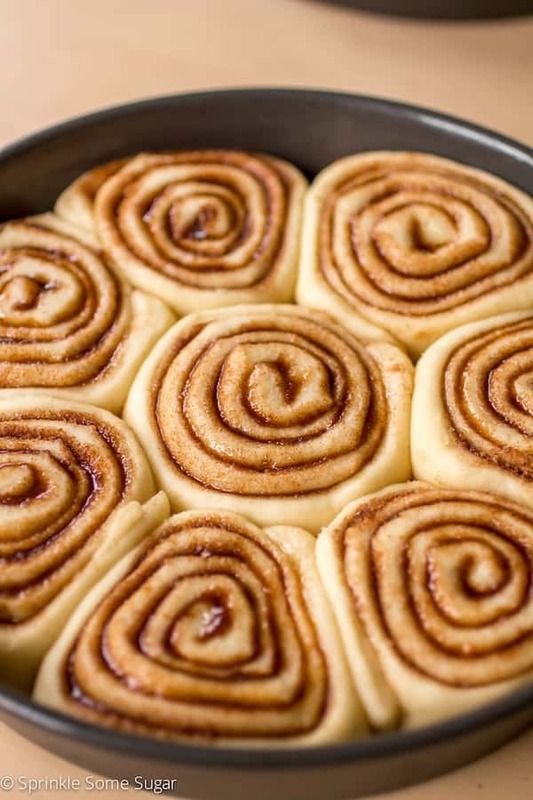 Bake cinnamon rolls for 20-25 minutes or until lightly golden on top. While cinnamon rolls are baking, prepare frosting. Beat cream cheese and butter together until smooth with no lumps. 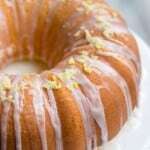 Add in confectioner's sugar, vanilla and optional pinch of salt and mix until smooth an creamy. Spread the frosting onto the warm rolls. These Soft and Fluffy Cinnamon Rolls will stay fresh for up to 1 week stored in an airtight container at room temperature. I always store mine at room temperature and have never had an issue. If you are concerned about the cream cheese, store in the refrigerator. They are perfect warmed up in the microwave for a few seconds! Just like a fresh cinnamon roll right out of the oven. Oh my word. Now I just HAVE to have cinnamon rolls!! These look perfect!!! 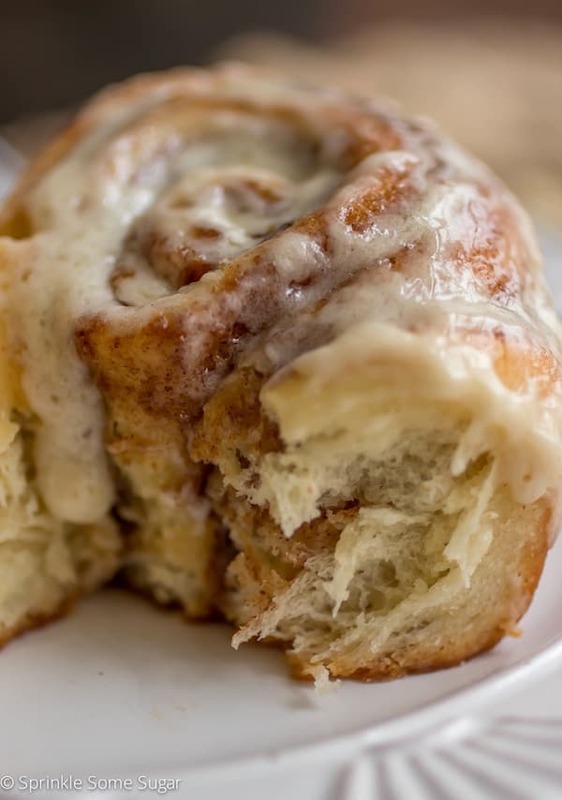 These cinnamon rolls truly do look like the best ever!! Please teach me how to make cinnamon rolls!! These are amazing! Start our the mixer at around 3 cups of flour and mix thoroughly. Keep in mind, this particular dough should be sticky at the end of mixing. If this your first time making dough, it’s hard to explain in words how it should look and feel. If you’ve made bread dough, you’ll know what I mean when you I say you don’t want bread dough too sticky. – Well, with this dough, you do want the dough to be sticky. It may even be safe to say, it should ooz (for lack of a better word) a little bit. – it should slump or settle as it is dump on a counter surface. Word of warning.. If you value your mixing machine,, Do Not add all the flour at once. It will burn out smaller machines. I’ve learned the hard way,, you should really weigh your ingredients and not trust American measuring practices. Get a decent scale and rid yourself of disappointment after disappointment. Failed recipes are not always your fault. Ingredients like flour dramatically changes with the environment, taking on more or less moisture. Dryer flour in dry climates takes less than moist flour in humid climates. Weighing ingredients really does improve accuracy. Although your accuracy will be improved always and ingredients like flour gradually, or rather most at once, adding more throughout the mixing processes. This will save you some disappointment and help preserve you machine. I’m a sucker for a good cinnamon roll! 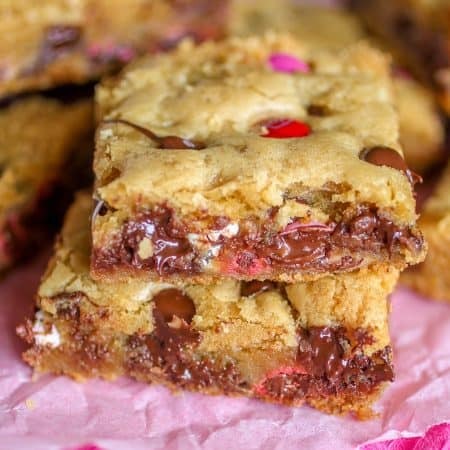 These look delicious and totally do-able! Thanks for sharing. If there is one thing I miss from my gluten-eating days, it is the big, amazing cinnamon rolls from Cinnabon. 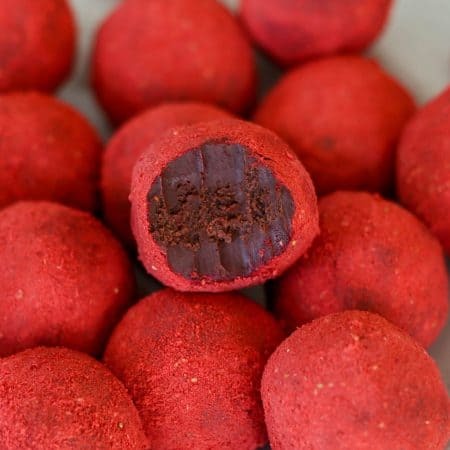 You’ve got me drooling with these! I’m still trying to perfect a gluten-free version, so I’m definitely going to keep your tips in mind when I try next! Honestly, there is nothing like cinnamon rolls! I don’t treat myself to them nearly as often as I should…..I guess I’ll have to try this recipe to fix that!!! 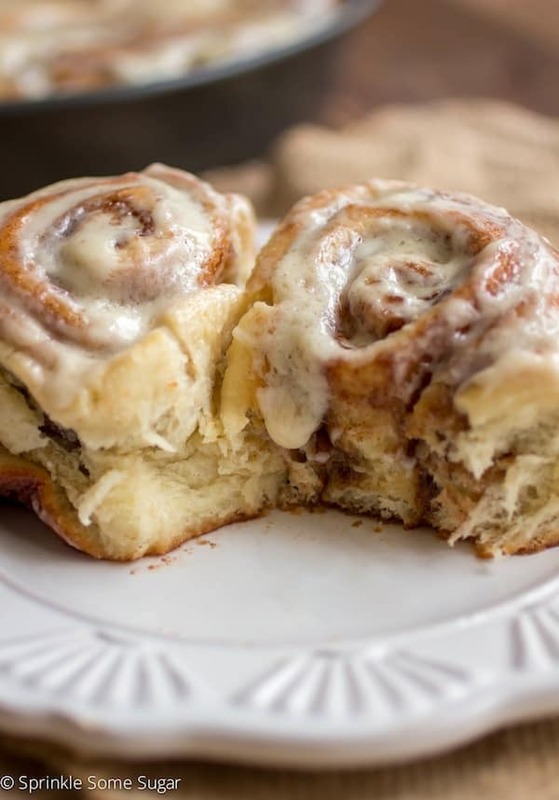 These cinnamon rolls look absolutely beautiful. I want to use them for a pillow. Haha!! This cracked me up this morning. Thanks, Renee! Thanks so much for pointing that out, Shirley! The recipe should read 1/2 cup unsalted butter. The recipe is updated with the correct measurements. Enjoy them! 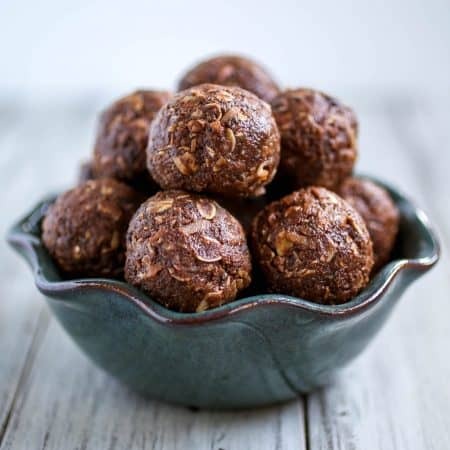 Have you ever made these in advance and stored in the freezer? Thanks so much for catching that! It’s supposed to read 2/3 cup of granulated sugar. I have edited the recipe to read that as well. Can we make these the night before we want to serve them? Can we store in the refrigerator overnight, let them rise a second time the next morning and then bake them? Thanks for asking this. That was my question! (And thanks Jessica for confirming that this works. That’s what I’m going to do. Yeast is activating in the milk and 1 Tbsp sugar right now. Can’t wait to see/smell/taste how these turn out! Awesome!! Glad you found the answer. I hope they came out great! Made these today…the best I’ve ever had! Hello,I log on to your new stuff named “Soft and Fluffy Cinnamon Rolls – Sprinkle Some Sugar” daily.Your writing style is awesome, keep up the good work! And you can look our website about proxy list. Is the four sifted? If so, do you measure the amount needed before or after sifting? What is the corn starch for? Does it make them softer? OOps! never mind, I thought the cornstarch went in the dough, I see it goes in the frosting, I gather for thickening? Scratch that, it goes in the filling, for stablizing? Wow way to read a recipe Reni. I was so dazzled by these couldn’t read right. I am so going to make these. Yum! Lol! Glad you figured it out. OMGGGGGGGG!!!!! 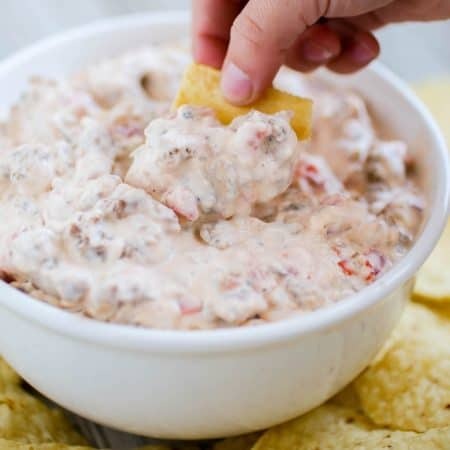 Jessica, I am super excited about this recipe, I have been seeking a recipe that I think I would enjoy making and I am sure this is the one. I just saw it today and you can bet your last dollar I am doing it today. When I am done, I am sure to send before and after photos. *Dancing, Dancing, Dancing. Ok, so, I may not be able to post pics, but guys, I made a batch of 15 medium sized buns from this recipe today as I said I would. They.Were.Awsoooome!! Great gooey stuff, I will never purchase another cinnamon roll at the store. Wow!!!! I made a few mistakes, however, I will correct them and perfect them next time around. I rolled the dough a little too thin and so it was a bit challenging to wrap, I got it done though with a little more time and they were a little too brown so I will bake for 18mins next time, I did 20mins. Oh my goodness, you are too funny Angiene! Your comments totally made my day I am so happy you loved the cinnamon rolls and with practice, you’ll get them perfect! If you have social media, you can post the photo to my ‘Sprinkle Some Sugar’ Facebook page, or tag #sprinklesomesugar on instagram – I’d love to see! These look awesome, but there’s no salt in the dough?? I don’t think I’ve ever seen any dough recipe that didn’t have ‘some’ salt in it! Nope! You can feel free to add a pinch or two if you’d like. Hope they came out amazing! I made these tonight, wanting to try a new recipe. They were nice and soft but the flavor seemed to be off. Not sure what was missing. They looked delicious though! After I figure out the flavor component that was missing, I’ll give it another shot. Hm, I’m not sure what you mean. 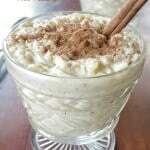 Maybe add more cinnamon to yours – I love them the way they are. I hope you figure out what works best for you! I’ve followed the recipe but after proved for 1h, noticed that it is too sticky to work with can i add more flour and proofing it again? Made them twice. Both times they have turned out amazing. I’m very impressed . 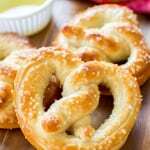 I have tried so many recipes and nothing has turned out as fluffy and full of flavor as these have. Truly one to share and keep in the recipe book for years to come. Thank you. Your brilliant. 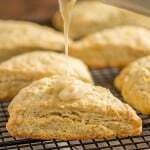 Do you use 1 or 2 packets of yeast? I accidentally killed the yeast but went a head with the process. 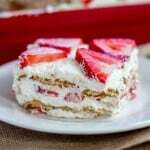 I hate wasting food, is there any hope for salvaging this recipe? 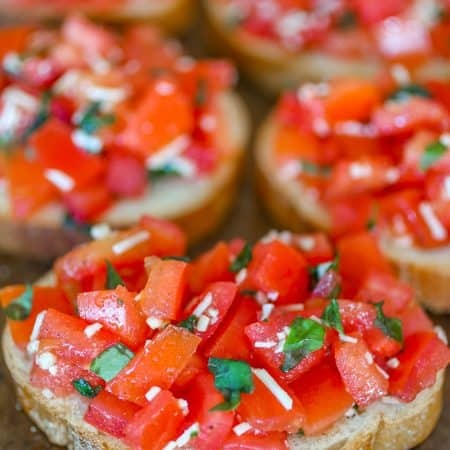 Love love this recipe!! It’s one of my favorites, and I am a sucker for cinnamon rolls!! 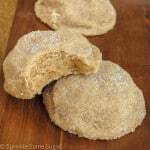 Have you ever tried to make these and put in refrigerator overnight after they have been rolled and placed in pan? I was wondering if you have tried and how it tasted! Approximately, how large should the rectangle of dough be after I rolled it out or what thickness should the dough be after rolled out? I saw in a comment someone rolled it out too thin and I don’t want to make the same mistake. Hi! Is this dough just for sweets or would it work for savory as well, like to roll up some ham and cheese? Good to know about the bread machine! So glad they turned out great for you, Debbie! I made these today for the first time and they are absolutely delicious! Thanks for sharing. Finally! I fell in love with a cinnamon roll recipe on pickycook.com but the site disappeared and so did our Christmas tradition! Booo hoooo! But I do believe your recipe is about as close as I have been able to find. YAY! 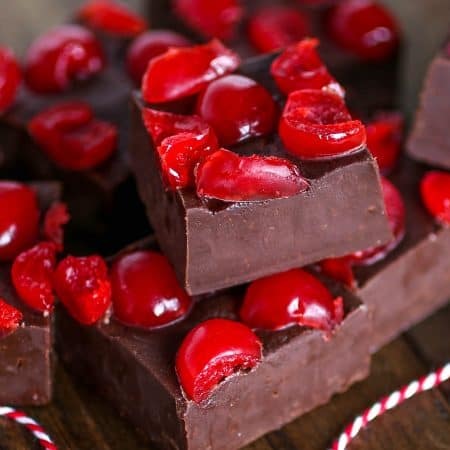 Guess Doug will get two Chirstmases this year as I try this recipe! Hey SGS, I just tried these out with 1:1 Gluten Free flour for my Celiac wife and they turned out great! Thank you! That’s great to know! Thank you for sharing and I’m so glad they came out great for you guys!